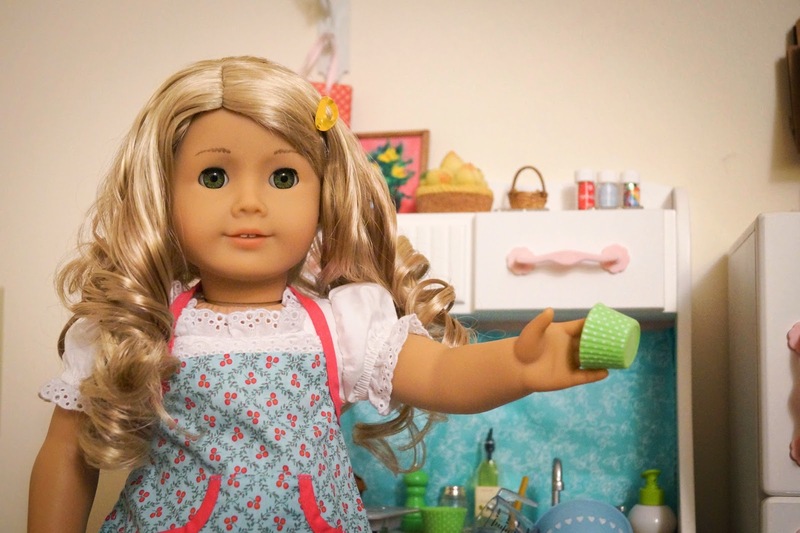 American Girl Doll Play: Baking Muffins! 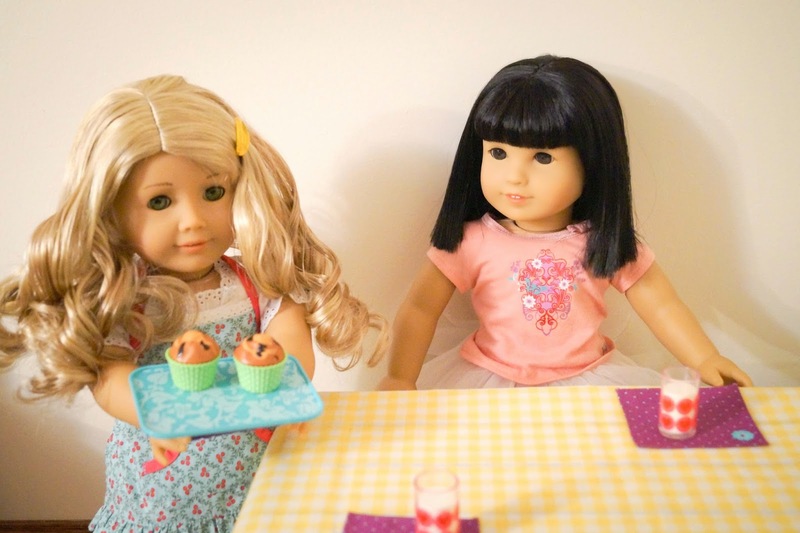 The weather has been a bit cooler than our typical summer weather so it was perfect baking weather! We are discovering that Lanie is a great baker and enjoys cooking as well. 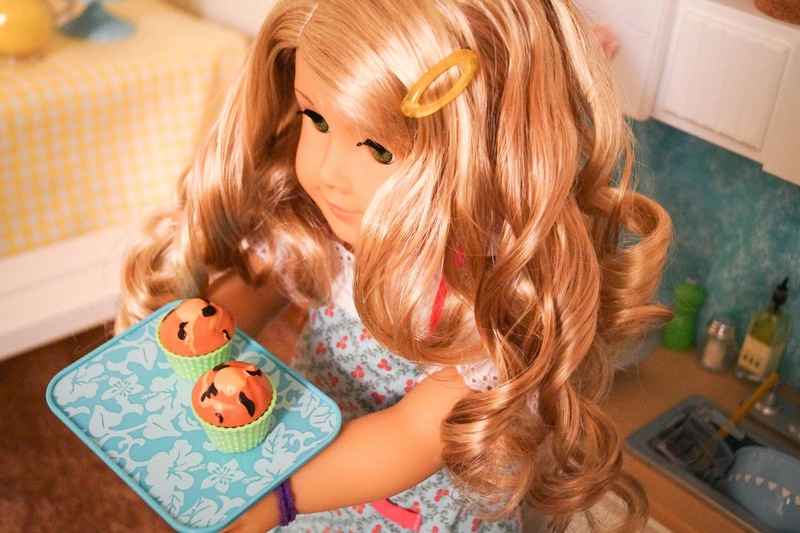 She headed to the kitchen and made some chocolate chip muffins! They turned out absolutely perfect don't you think? 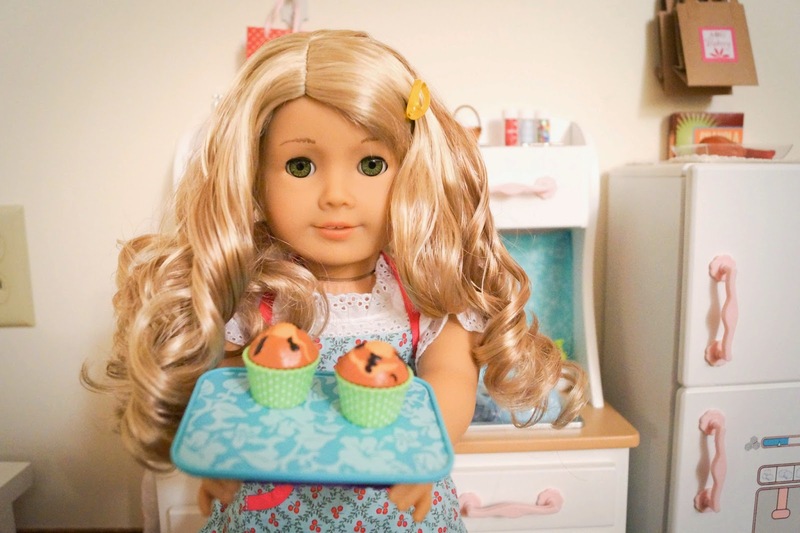 After they were out of the oven she wanted to "test" one with a friend and the only one that was home was Ivy. Ivy gave no argument to trying one right from the oven...YUMMY! The muffins were delicious with a nice tall glass of cold milk. 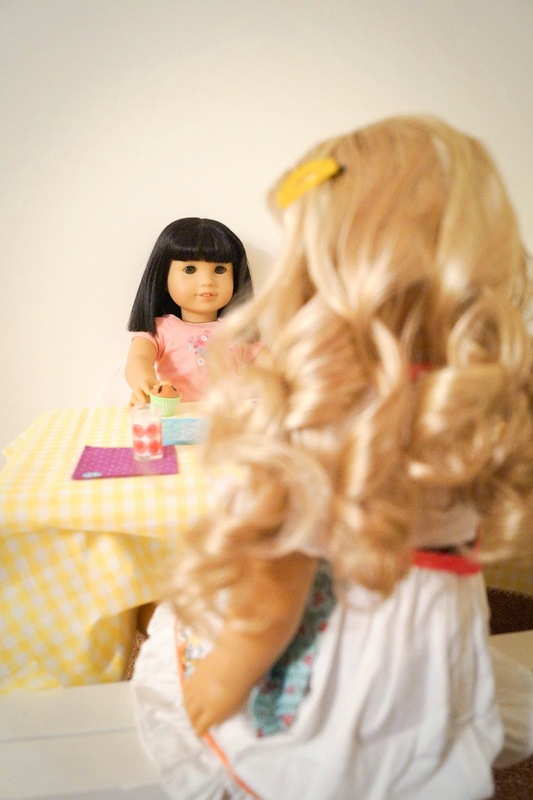 Lanie blushed a bit when Ivy shared just how good she thought they were...and felt proud. She can't wait to share with the others once they get home her special treat that she made. and now to clean up the kitchen! What is your favorite special treat that you enjoy? Is it something that you can make with the help of a parent or friends or something that you can make on your own? 3. Fill cups 2/3 full. 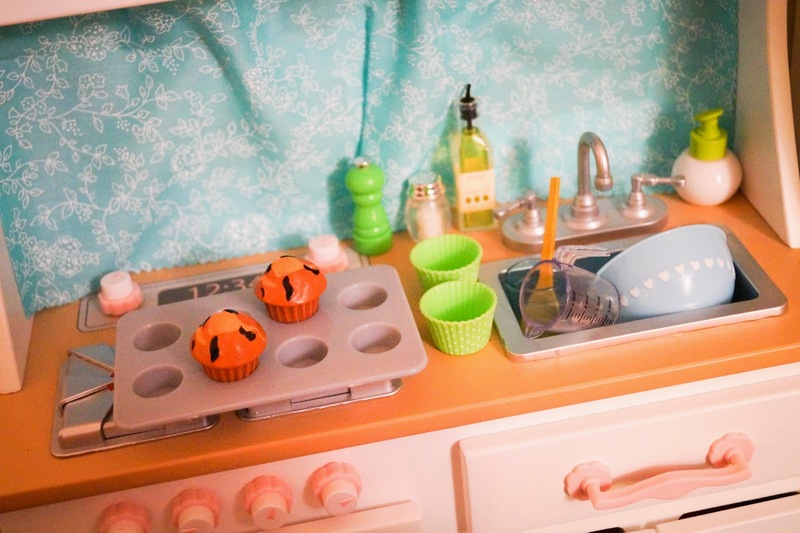 Sprinkle tops of muffins before baking with a combination of 3 tablespoons sugar and 2 tablespoon brown sugar. 4. Bake for 20 to 25 minutes or until toothpick inserted in center comes out clean. Cool 1 minute before removing from pan. Serve warm. Thanks Rhonda...we agree!! She sure is a sweetie! 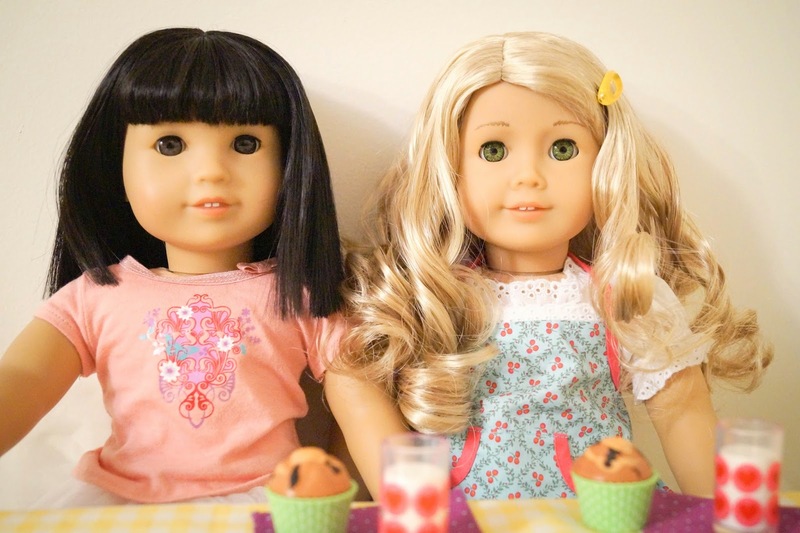 Love this photo story! Including the recipe is brilliant. Thank you for sharing. PS. I love your kitchen. 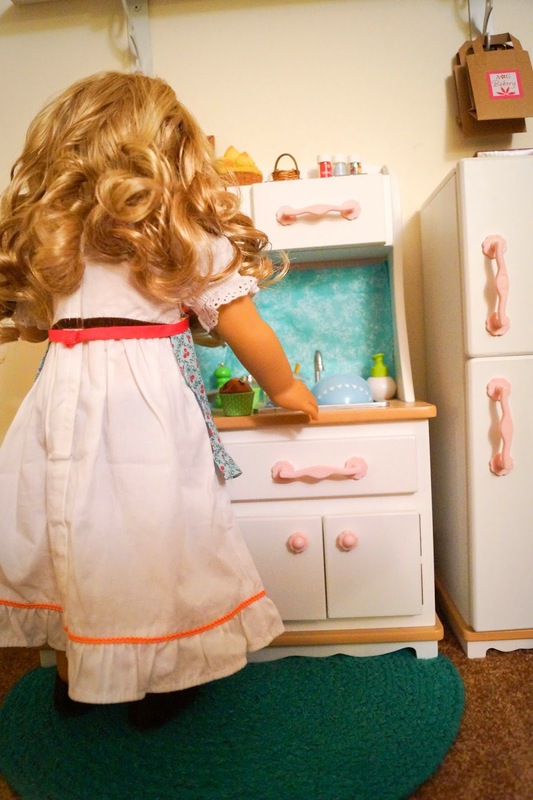 Where is your doll kitchen from? It's really cute. I love your blog! It has so many neat crafts on it. P.S. 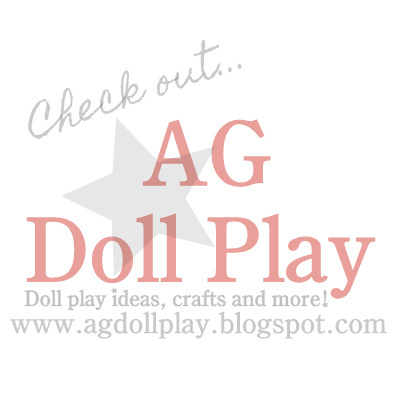 I have a AG doll blog too! It's called Small Dolls in a Big World. It's an old Our Generation wood kitchen...we got it from an adult collector awhile back. We love it too! 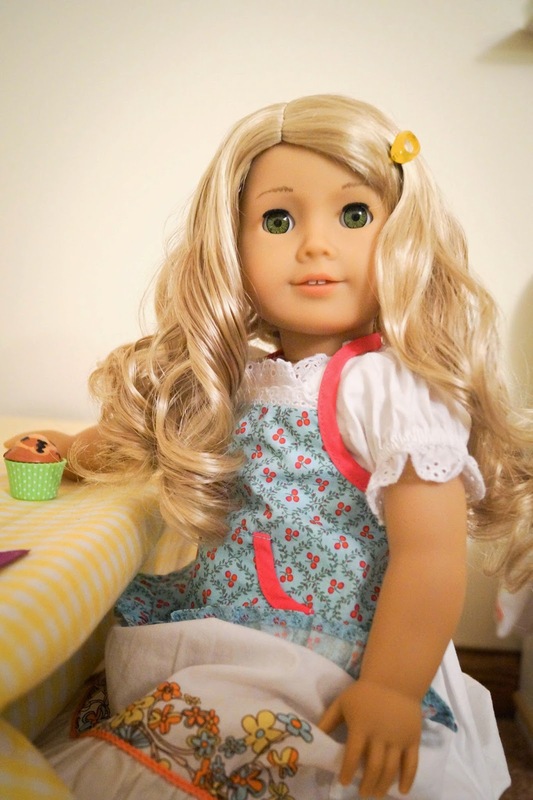 Thanks for reading and for sharing your blog with us! Nice! 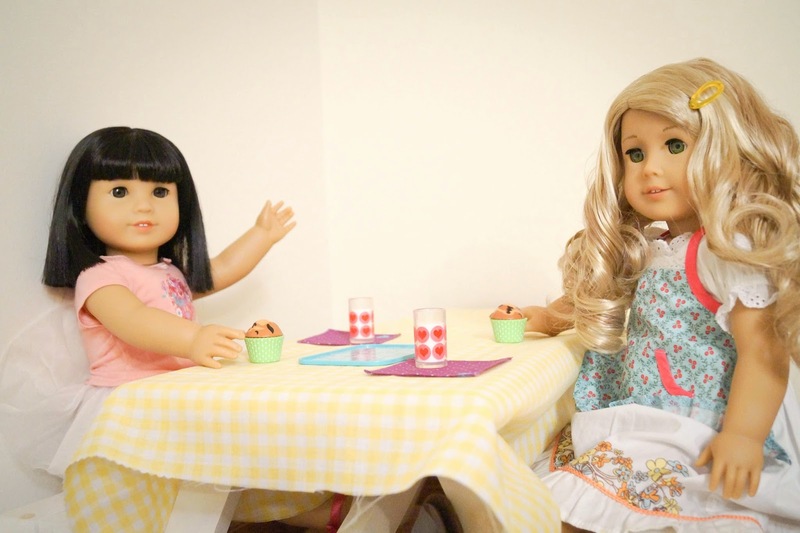 I've nominated you for an award on my blog! :) Check it out. Thanks for the recipe, I'll give it a shot. I love to bake too with my little brother. :) I enjoy making cupcakes. Oh...and nice kitchen. Awww, two of my faves, Lanie and Ivy! What beautiful photos and kitchen, too.